Who won America’s Got Talent Season 13? The results are in and the winner will be revealed tonight, Wednesday, September 19, 2018. America’s Got Talent will air its final episode live from Dolby Theater in Hollywood tonight. Season 13 grand winner will be named at the end of the Finale results show. 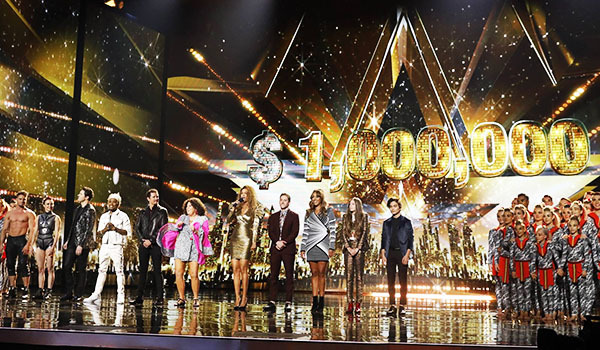 The Top 10 finalists vying to win the coveted title are Brian King Joseph, Courtney Hadwin, Daniel Emmet, Duo Transcend, Glennis Grace, Michael Ketterer, Samuel J. Comroe, Shin Lim, Vicki Barbolak and Zurcaroh. Only one act will win the million-dollar prize and will be given the chance of headlining a show in Las Vegas. Also tonight, AGT will feature special performances from Kiss, Placido Domingo, The Struts, Lindsey Stirling, Bebe Rexha, David Spade, Matt Iseman, Akbar Gbajabiamila and a special song contribution from Garth Brooks. Who will it be? Write your predictions below! Keep locked on this page, videos, recap and results will be posted below once announced.